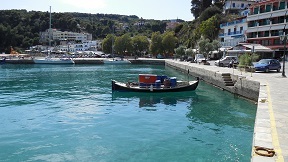 Though the harbour of Patitiri is conciderately smaller than Skiathos Town, I preferred it over its bigger neighbour. The harbour is very cosy, with a lot of trees and lots of flowers, and there is also a lot of people that hold all kinds of birds in small cages in front of their house. 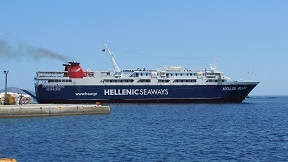 The terraces in the harbour were quiet, the food was good, and the people were friendly. There's not much traffic going on. On the right side of the town there's a small pebble-beach, and there are a couple of streets with some nice shops, supermarkets and a bakery. In Patitiri there are ATM machines and there is an Health Centre. 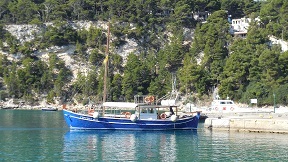 From the harbour of Patitiri excursion boats leave to the attractions of Alonissos, such as the coastline, the Blue Cave, The Marine Park and nearby small islands with beaches, a lighthouse and a monastery. What also attracted the attention was a big old wall in the middle of the harbour, that was covered with trees and shrubs. 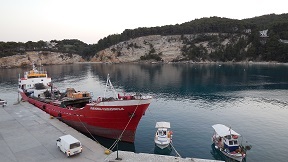 You can walk along the harbour and the pier, but there's also a possibility to climb some stairs and take a look at the town and the harbour from above. 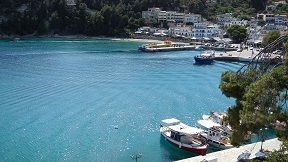 My friends made a walk to Chora, which is just up the hill from the harbour. 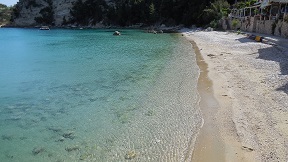 The small pebble beach in the harbour of Patitiri does not immediately invite you to go swimming although there are some patches with sand and the water is clear (as it is everywhere else on the island), so if you wanted you could. 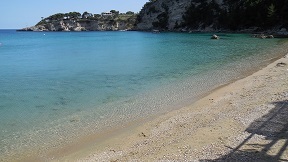 But not far from the harbour are two nice beaches: Roussom Gialos and Votsi (see also the Alinossos beaches page). 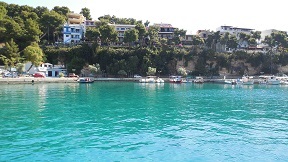 Both beaches are pebbly and they are located in a protected bay. 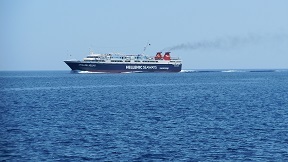 Roussom Gialos Beach is about one kilometer from the port of Patitiri and Votsi is situated a little further in the next bay. 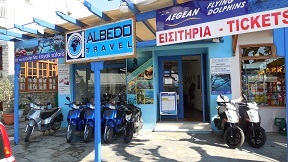 Around these two beaches various accommodations are available and there are all kinds of facilities. On the beach of Roussoum Gialos are also a number of umbrellas and sun beds for hire. 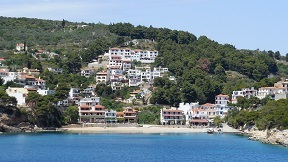 Except for Chora, Patitiri, Votsi and Steni Vala and there are not really any more villages of some size on Alonissos. 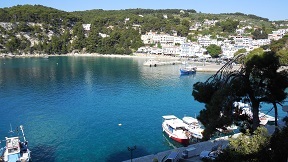 Patitiri is the main town and the first village you will see when you arrive on the Alonissos. 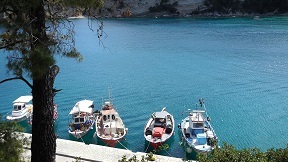 It is situated in the southeast of the island and it is also the largest village, with about 1600 inhabitants. 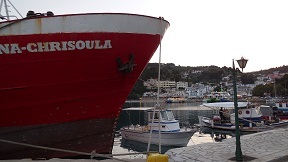 The name Patitiri means "wine press" and the village owes its name to the wine for which the island has been famous since ancient times. 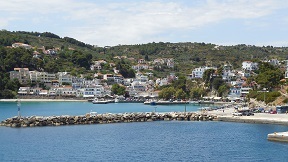 The old village or Chora is situated 3 kilometers up the hill. 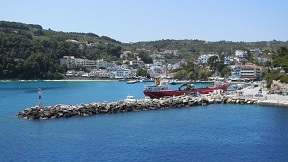 Chora used to be the capital of the island until in 1965 an earthquake destroyed most of the buildings. 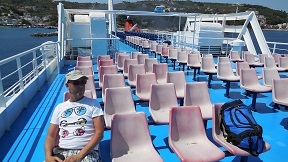 After that most of the people moved down to the sea to Patitiri.